Tecta America Southeast – Jacksonville, FL. A Tecta America commercial roofing contractor began in 1990 as General Works Roofing. Evolving from a small roofing contractor to offering roofing solutions for major projects, we have grown to over 125 employees serving the Central and North Florida regions. We have an office in Sanford, Florida, and Jacksonville, Florida. In 2005, General Works became Tecta America, Sanford. We are incredibly proud of our hardworking and talented team and are excited to be able to work with good charities such as, Give Kids the World and Rebuilding Orlando Together utilizing our commercial roofing expertise and craftsmanship. We are committed to the communities we serve. We provide complete commercial roofing service, including roof replacement, roof repairs, emergency services, preventative maintenance programs, energy efficient solutions, safety, and online asset management. We also specialize in roof maintenance and service, environmental roof solutions, and theme park roof crafts. Our roofing experts can evaluate, repair or replace your facility’s roofing system. Managing your facility and its roof means having the right tools. Tecta America provides the necessary information to manage a portfolio of roofs and the tools to optimize your roof maintenance and budgets. From preventative maintenance and services to roof replacement, you can depend on Tecta America Central Florida to get the job done quickly and efficiently. We are at the job on time and ready for work and leave your site clean, so you are safe. We use the best materials when performing roofing projects because we are a trusted contractor. Tecta America Corporation has grown to over 70 locations nationwide becoming one of the largest roofing contractors in the United States and is an approved applicator of GAF, Johns Manville, Carlisle, and Firestone and all other major manufacturers’ roofing material. Tecta America is a licensed, bonded, and insured commercial roofing contractor with over 60 years of roofing industry experience. We work hard to maintain your investment and maximize the life of your roof. 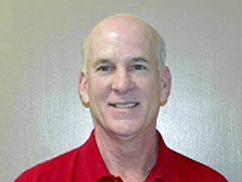 Michael has been in the industry since 1985 and joined Tecta in 1993. As President, he collaborates with the department managers for overall vision and mission. 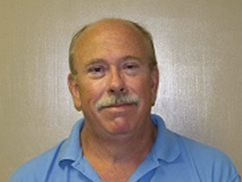 Bill has been in the industry since 1985 and joined Tecta in 2013. He is responsible for daily operations including crew supervision, scheduling and production. 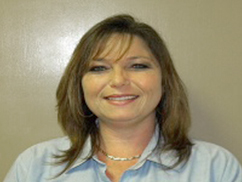 Tammy has been in the industry since 1995 and joined Tecta in 2013. She is responsible for daily scheduling, billing, service coordination, and customer service for the Service Department. 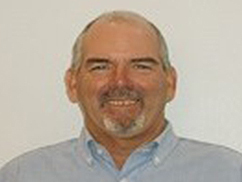 James has been in the industry since 1994 and joined Tecta in 2015. He is responsible for estimation of production re-roofs, scope work for service and project management of existing jobs.